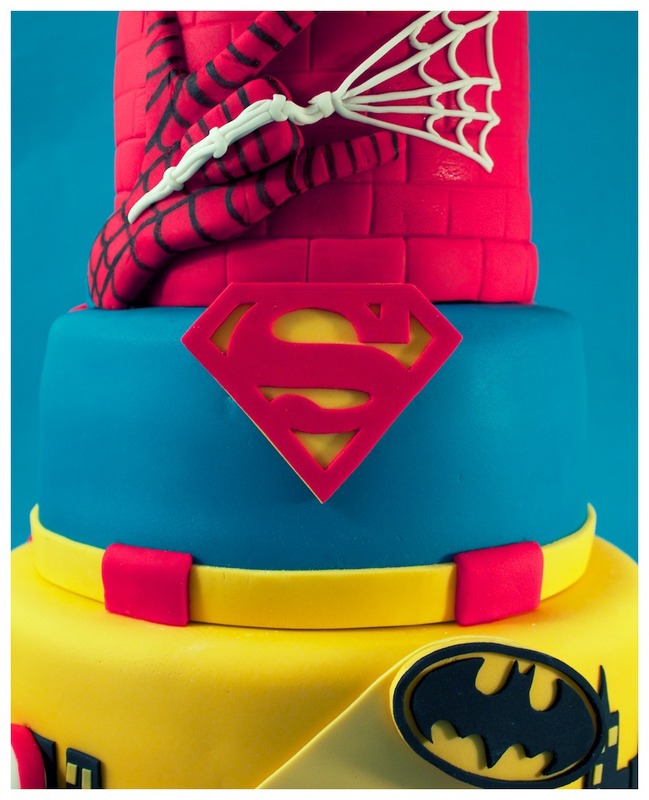 Three tier superhero theamed bairthday cake. 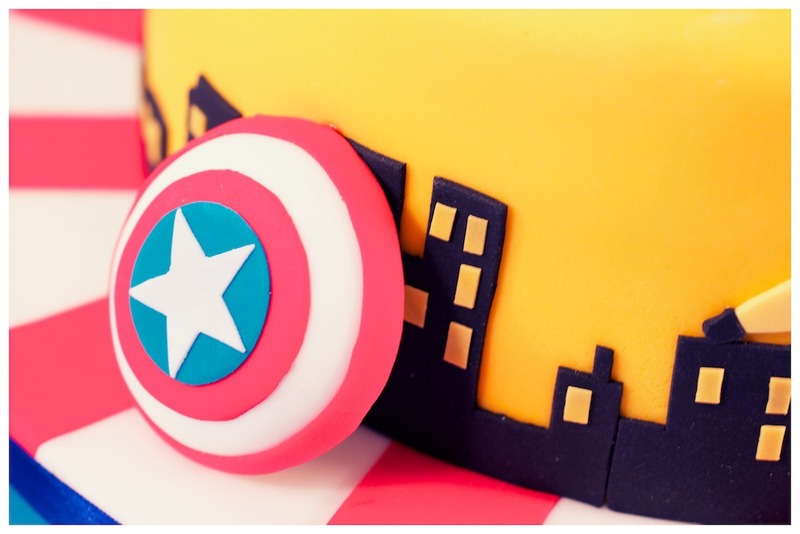 Base: Captain America. 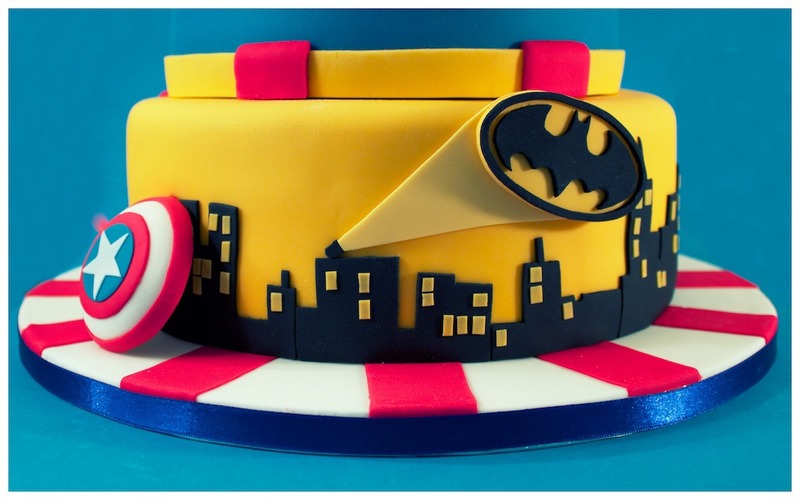 First Tier: Batman & Gotham Cityscape. 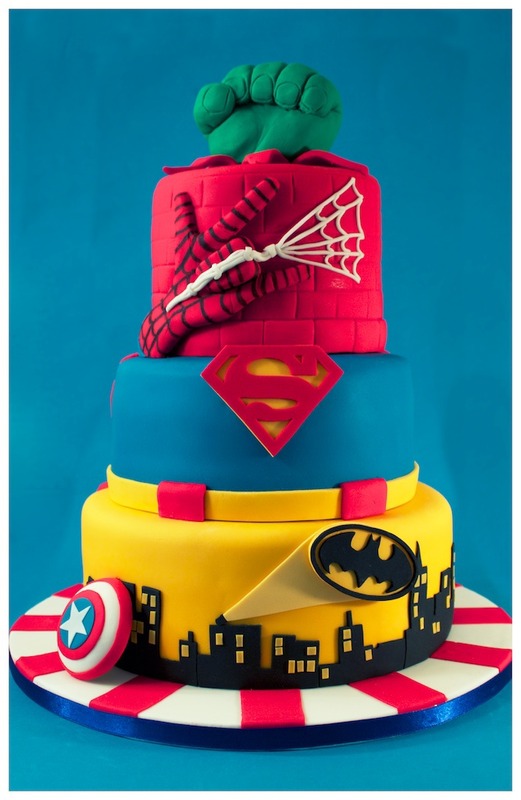 Second Tier: Superman logo & cape. 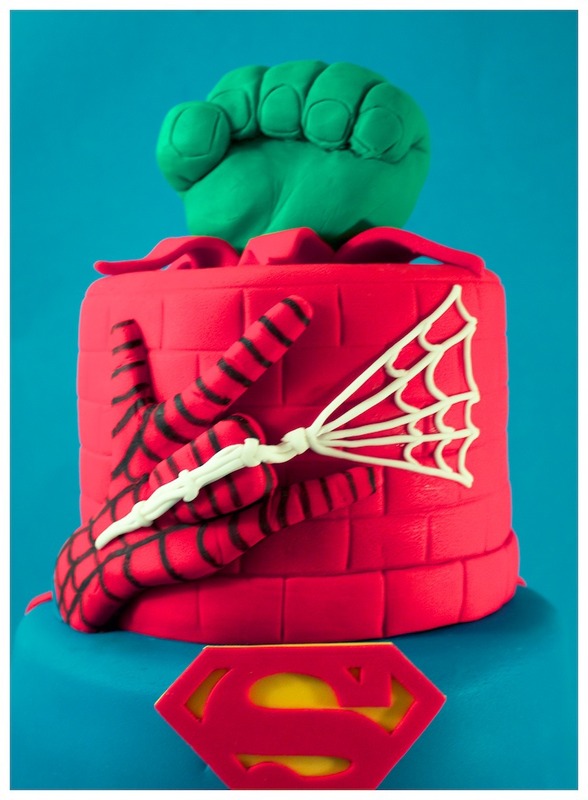 Third Tier: Spiderman. With a Hulk gum paste fist bursting out of the top.